This gold tone petal necklace is a variation on my silver petal necklace. 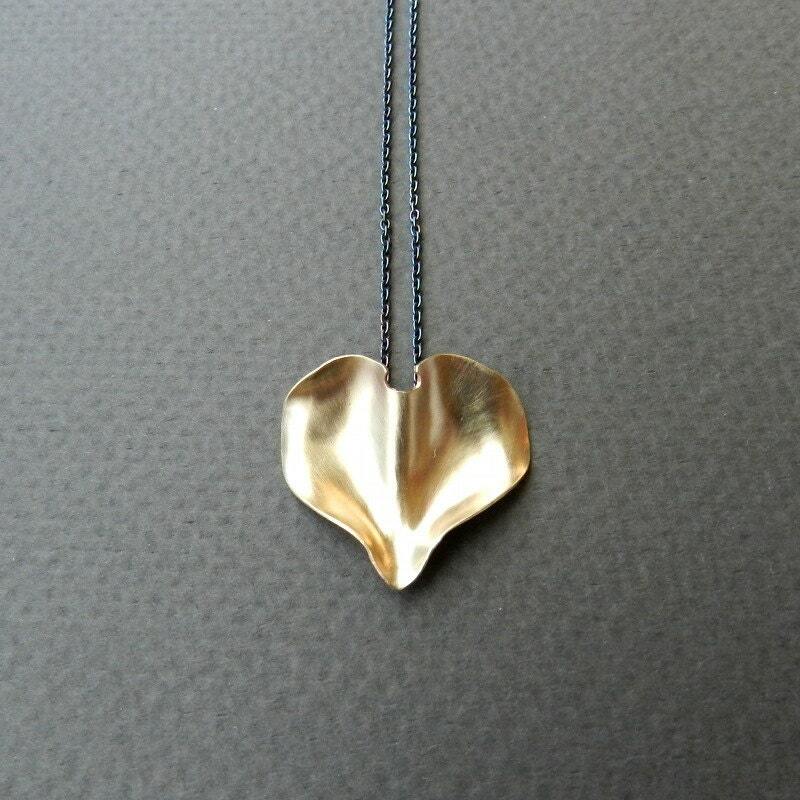 It is made with yellow brass, and the beautiful gold color is hard to miss. Like all my petal pieces, it is hammer forged to shape. The petal is about 1" wide and I paired it with a dark oxidized chain (20"). Each petal is handmade, so please allow for slight variation from the photos. Also please allow for 2-3 day turnaround time.